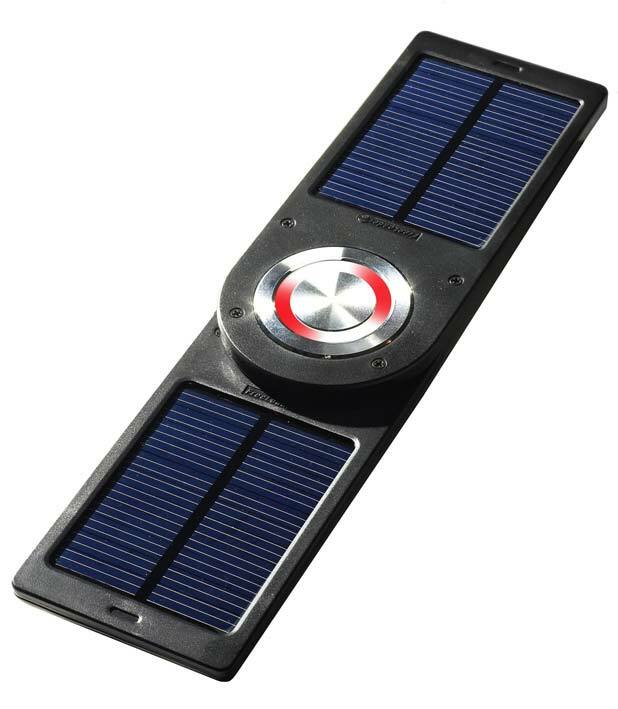 Freeloader Pro uses its high power solar panels or USB (cable supplied) to quickly charge its internal battery (7 – 9 hours in sunny conditions). Once fully charged Freeloader Pro is capable of delivering enough power to give a mobile phone 70 hours of standby time, 5000 page turns on an eBook or a 100% full charge for a digital camera battery. Also by switching its Multi voltage switch to “9.5v” Freeloader Pro is capable of charging power hungry, high voltage devices such as MP4 players, portable DVD players and SLR camera batteries. CamCaddy is a unique power cradle supplied with Freeloader Pro. 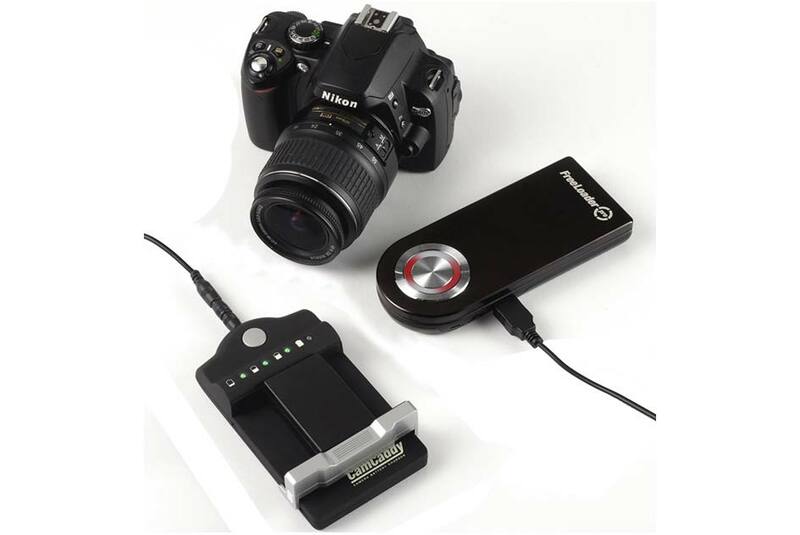 CamCaddy accepts virtually every type of camera battery whether a simple compact digital camera, professional SLR or a video camera battery. CamCaddy suits all sizes of battery (3.2v to 7.9v) using its variable slider bar and adjustable contact pins. 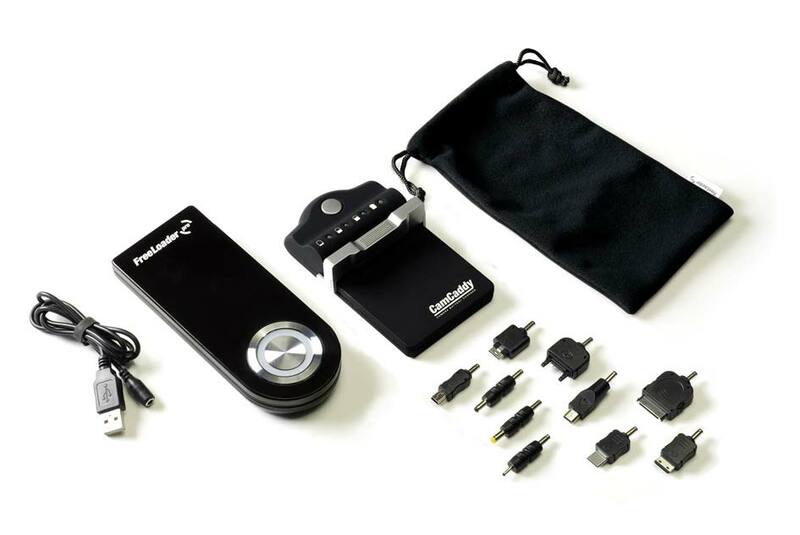 Light weight and rugged CamCaddy is the ONLY camera battery charger capable of powering virtually all camera batteries. All orders have a 12 month warranty guarantee from the date of purchase.